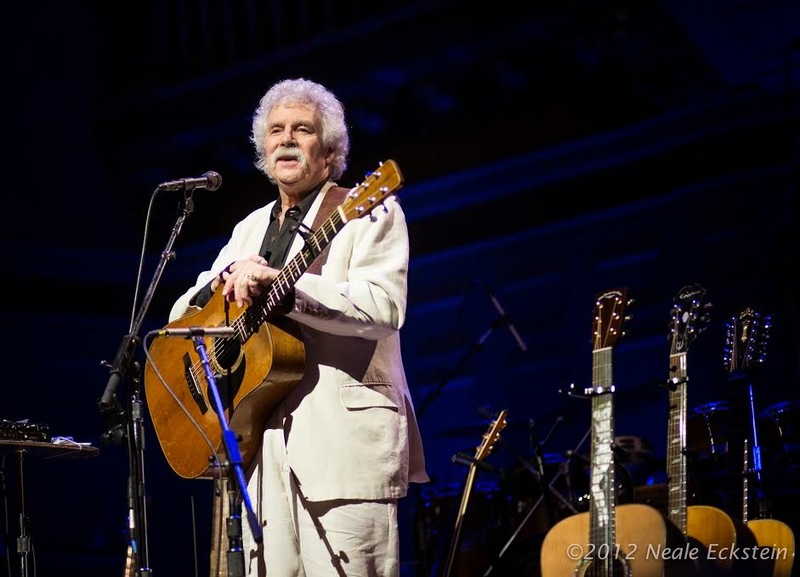 Singer-Songwriter and folk icon Tom Rush will return to Symphony Hall to continue his series of Club 47® concerts on Sunday, Dec 28th at 7:30pm. This year, Tom will be celebrating the official release of the documentary on his life, Tom Rush No Regrets, with a concert giving more prominence to Rush and his music than previous Club 47 shows. Tom will also treat this year’s audience to some new songs he wrote over the course of the summer. Powerhouse female Americana vocal trio Red Molly (Laurie MacAllister, Abbie Gardner, and Molly Venter) will be among the “youngsters” joining Tom and taking the spotlight for several songs. Also backing Tom up will be saxophone prodigy Grace Kelly, Americana/folk fiddler Monica Rizzio. The regular house band includes Tom’s longtime sidemen Joe Mennonna, Marshal Rosenberg and Paul Guzzone . This evening is a celebration of the official release of the film Tom Rush: No Regrets, the new feature-length documentary of Tom’s life and career. The film has played to enthusiastic crowds at pre-release special screenings around New England, and was awarded “Best NH Documentary” at the 2013 New Hampshire Film Festival. The DVD of Tom Rush: No Regrets,” not yet available in stores, can be purchased exclusively when buying tickets to this concert, or at TomRush.com. In 1981 Tom Rush assembled the first of a series of concerts named for the fabled Cambridge coffee house where many of the legendary artists of his generation got their start. His Club 47 shows played at venues across the country, including New York’s Carnegie Hall and the Kennedy Center in Washington D.C.